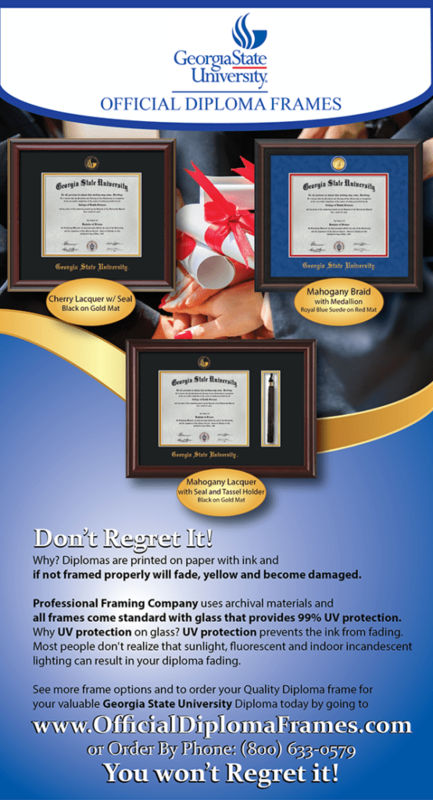 This is one of many postcards I designed for a framing company marketing diploma frames to Georgia Sate University graduates. I designed this in Adobe Illustrator. I did not write the ad copy. This project was completed in May 2016.